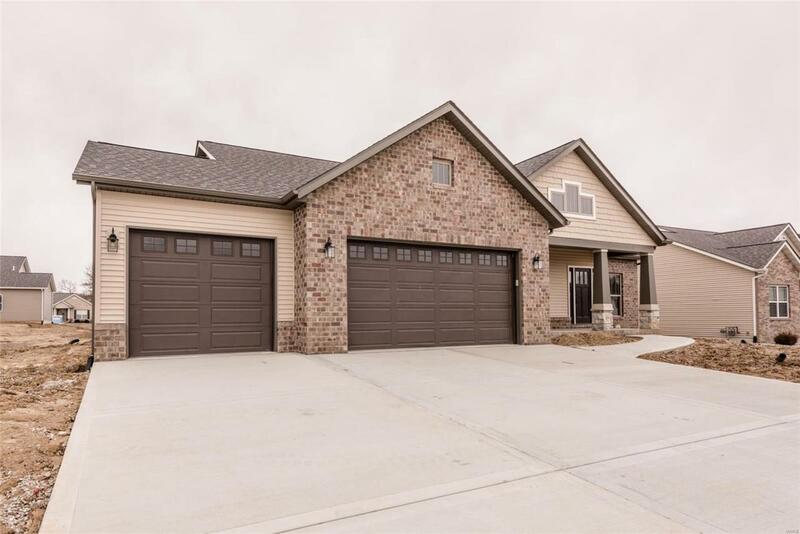 Stunning new craftsman ranch with open concept living and a split bedroom floorplan! 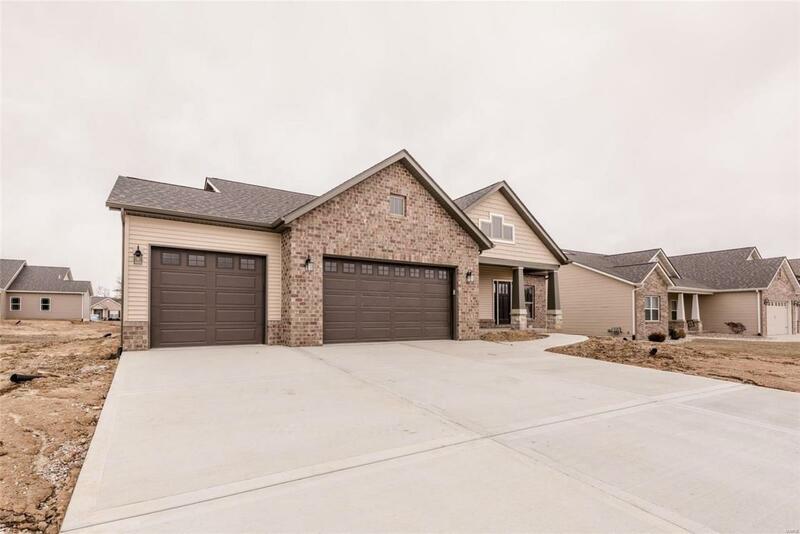 Walk-in to gorgeous hickory floors & a full stacked stone gas fireplace, a large eat-in dining space & a chef's dream kitchen! 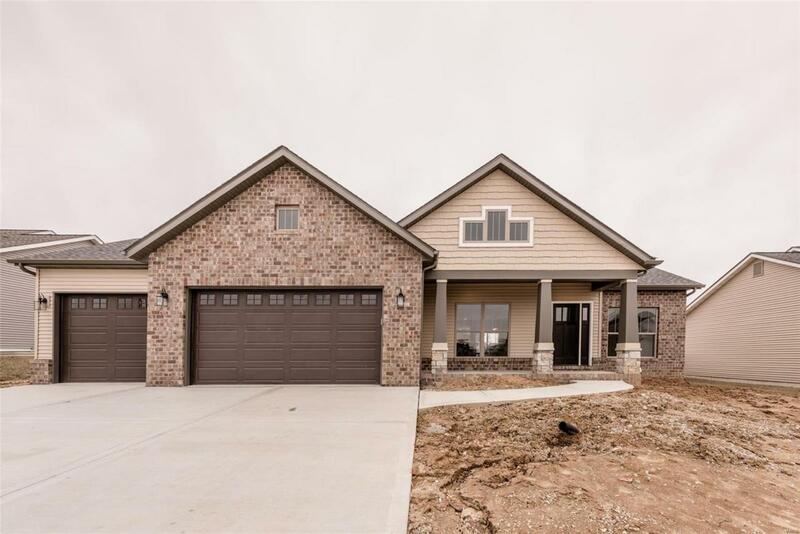 Custom white cabinetry w/soft close system & crown molding, a huge prep island w/breakfast bar seating, quartz countertops, and stainless steel appliances make this perfect for entertaining! Step down the hall through the mudroom with a custom drop zone & main floor laundry room to your private Master retreat! A large master bedroom with tray ceiling, huge walk-in closet and ensuite bath that includes a tiled walk-in shower, toilet closet and dual vanity sinks. Two large bedrooms & another full bath complete the main level. The basement is finished with a huge family room, full bath & 4th bedroom along with unfinished storage space. 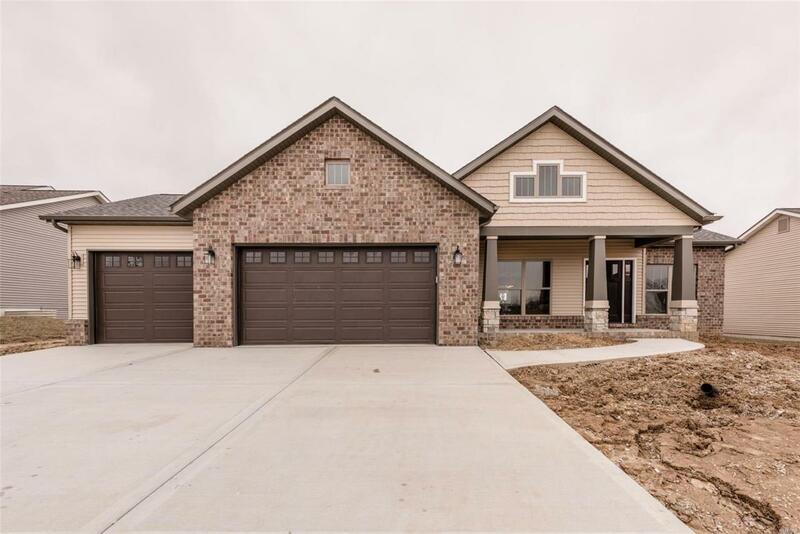 Enjoy your evenings sitting under the covered patio in this move-in ready home!